Based in Stuttgart, Germany, the M+W Group is one of the world’s leading suppliers of cleanroom technology. At its Stuttgart production site, high-tech devices are manufactured primarily for the electronic, life science and automotive industries, in uncontaminated environments (class 8 cleanrooms). Of course, the company is only satisfied with cabling that meets the very highest standards. 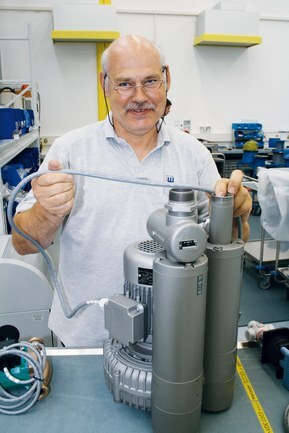 “We use cables from Lapp for practically every device that we manufacture for export,” comments Peter Hasenauer, chief electrical engineer at the M+W Group. This is because the Lapp Group is one of the first companies to offer an comprehensive range of UL-listed cables for North America that also comply with the new NFPA 79 standard. This places a number of restrictions on the use of AWM (Appliance Wiring Material) cables. To avoid a production ban in the market where its precision air conditioning devices are employed, the M+W Group thus takes no risks and employs fully certified cables from Lapp. A further advantage of these is that they do not have to be fitted in closed systems. As a result, cabling costs are up to 40 percent lower. The semiconductor industry has very strict standards regarding the cleanliness of the production environment. Temperature and moisture levels must also be precisely controlled for individual process stages, such as the lithography of the sensitive wafers – the tolerance for temperature deviation here is just 0.05 degrees Celsius. ÖLFLEX® Tray cables control a device that examines the structures on the wafer. In addition, ÖLFLEX® CONTROL TM cables are employed to operate the lateral channel blower, which pumps air on to the lens at high pressure and speed to ensure a consistent temperature. 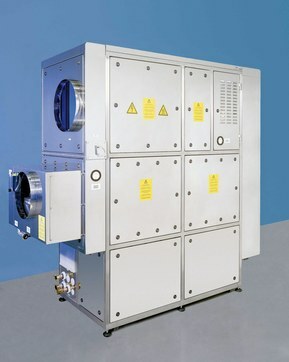 UNITRONIC® 300 CY data cables are fitted in the transmitter boxes for the temperature sensors. The programmable controls for the box software also rely on UNITRONIC® BUS cables. Furthermore, the M+W Group chooses Lapp for its industrial connectors – the EPIC® industrial connector is certified for compliance with both European and North American standards. The M+W Group is the leading global partner for engineering, construction and project management in the fields of Advanced Technology Facilities, the Life Science Industries, Energy & Environment Technologies and High-Tech Infrastructure. From concept development to turnkey services the company manages projects of all sizes ensuring flexibility, rapid realization and cost-effective completion. With its competence to link process technology, automation and complex facilities to integrated solutions M+W Group primarily focuses on leading electronics, life science, photovoltaic, chemical, automobile and communication companies, as well as research institutes and universities. M+W Group GmbH is the holding company with headquarters in Stuttgart, Germany.